Green crabs are another specialty bait. They are primarily used for tautog fishing, although they will catch other wreck-dwelling species such as black sea bass, sheepshead, and scup. When fishing for tautog, some anglers place whole live crabs on the hook, cracking the top shell to release their scent. Green crabs can also be cut into sections similar to blue crabs. 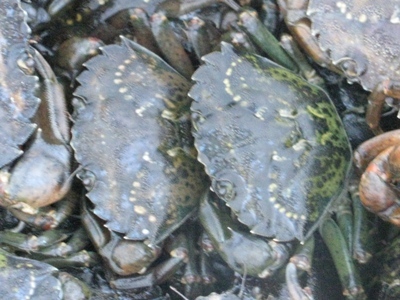 Although popular as a saltwater fishing bait, green crabs are classified as an invasive species in parts of North America. In many areas, regulations prohibit the release of live green crabs into the wild.